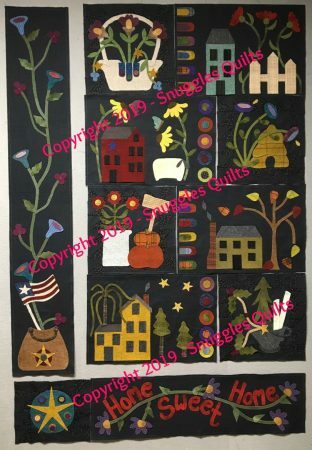 The Welcome series of seasonal quilt patterns continues with a summer scene to greet your visitors at home. 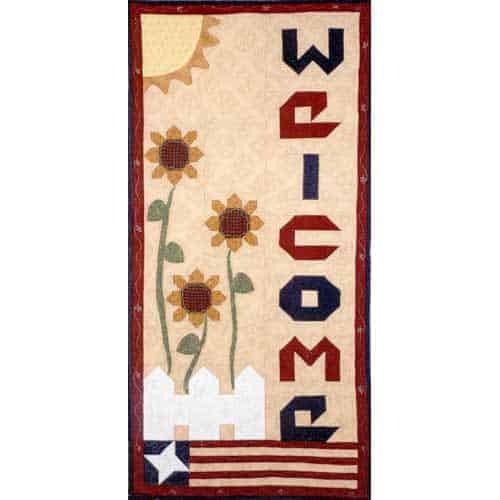 Measuring 16″ x 33″, Welcome Summer features a pieced fence & lettering combined with appliquéd sunflowers & a summer sun high in the sky. 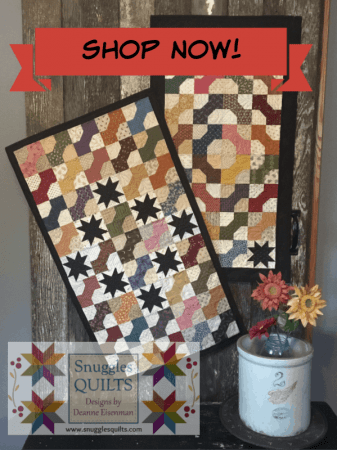 We added a patriotic flair to the bottom of this colorful summer quilt with a flag – pieced from strips of red & white with a friendship star in a blue field. Now you’re ready to celebrate the summer in style!